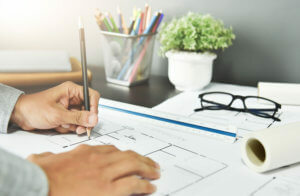 Because your dream home, and how you plan to use it, is unique to you and your family, we offer complete custom architectural design services from initial ideas to complete sets of buildable blueprints. You’ve dreamed for years about a custom home design; you have envisioned it from inside and out, memorizing every nook and cranny in each room. You may even have a Pinterest board full of inspiration. You know exactly what you want, but you don’t know how to make it become a reality, and that is where we come in. We are here to help realize your dreams and help you create, design, and finally live in the house of your dreams with our custom home design services. Throughout the entire custom home design process, we will be here to make sure your dream house is exactly what you have always wanted, and it will stand the test of time for you and your family. Experience your new home from every angle, make changes easily, and take the costly guesswork out of custom home design. Brian Luedtke Design Group has been designing homes for over thirty years for families all over our country, including Wausau and Rothschild. During that time, home styles, owner desires, building materials, and technology have changed drastically. We’ve kept up with these changes and trends to ensure the best experience for our clients. And because we offer the latest in custom home design technologies, you’ll be able to take a virtual tour of your new home before it’s even built, guaranteeing that you’ll love every inch of it. Have a change to the custom home design, or an update you want to make? Any changes you can imagine can be instantly incorporated into your design, allowing you to see the result almost instantly. We can tweak, add, and tailor your new space to suit YOU and your vision without costly, frustrating, and time-consuming revisions. We will work with you to ensure that your custom home design is exactly to your specifications and requirements before breaking ground on-site. Whether it’s a simple change such as a new color, or drastically altering floorplans, revisions are as easy as telling us what you want. We will work with you until your custom home design is perfect for you and your loved-ones. We’ll create a home that will stand the test of time, and it will look good doing it!